Home » Razor RipStik Ripster vs Caster Board – Which do You Need? Razor RipStik Ripster vs Caster Board – Which do You Need? 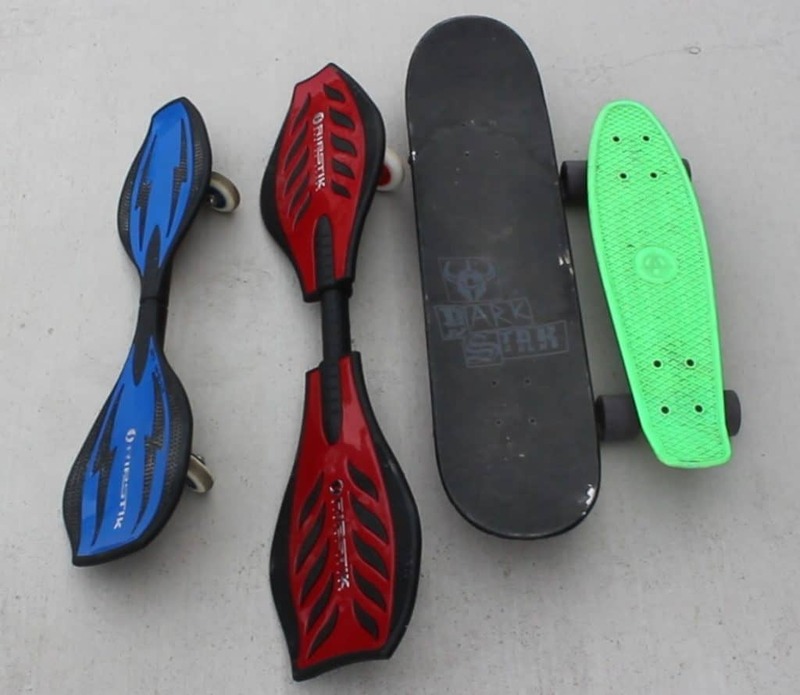 My kids love the Razor RipStik Ripster (left) and Caster Board (in red). Below, I’ll go over some of the differences between the two boards. 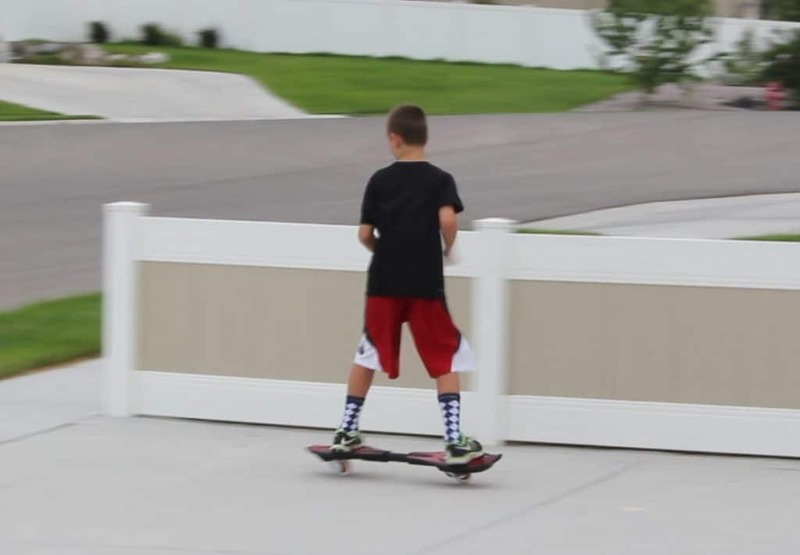 Both the Ripstik Ripster and Caster have been around for a while now and kids love them. A few months ago I didn’t know which one to purchase for my 11-year-old son. You might be in the same boat. I started doing research and couldn’t find the type of comprehensive review of the differences that I needed to make the right purchase. So, I decided to purchase both of them so I could share that with you here. 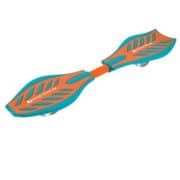 The big thing you’re probably wondering about is whether you should go with the Ripstick Ripster or Caster based on your child’s height or age. My son, who is around 58 inches tall, does just fine with either one. Kids who are under 54 inches tall will probably struggle a little bit with the larger board as the distance between their legs will be a bit farther. This will vary from child to child based on how long their legs are. Both boards have an age recommendation of 8+. For those wondering about being too tall, I’ve seen teenagers who are around 6 feet tall easily using either one. 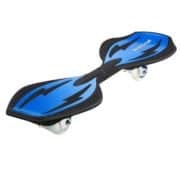 The manufacturer weight restrictions are 175 pounds for the smaller RipStik Ripster and 220 pounds for the Caster Board. Here’s my son riding the Razor Caster Board. The smaller Ripster is easier to get the hang of because of its compact size and lighter weight. Kids who are used to riding a skateboard or penny board should have no trouble getting used to it. The larger Caster board is wider and takes some getting used to but is not difficult either. Parents will likely have a more difficult time getting used to it than their kids do! For tricks, the Ripster tends to be better. For riding around the neighborhood, the Caster seems to be more comfortable and easier to ride over distances. Going down a large hill, the wheels shake a lot with the Ripster while just a little with the Caster. Despite their differences in size, the Ripster and the Caster are very close in their pricing. This wasn’t so a few years ago. Now the Ripster is regularly on sale for around $40 while the Caster comes in at around $50 to $60. Find a good sale and you may even be able to get them for less. Ultimately if you can’t decide what your child needs, you may want to try these out in-store. It’s also a good way to see if they can get the hang of it. We’ve seen them out of the package at Toys “R” Us. If you have any questions, feel free to ask me below. For more great fun read our reviews of Nerf Guns and Super Soakers.